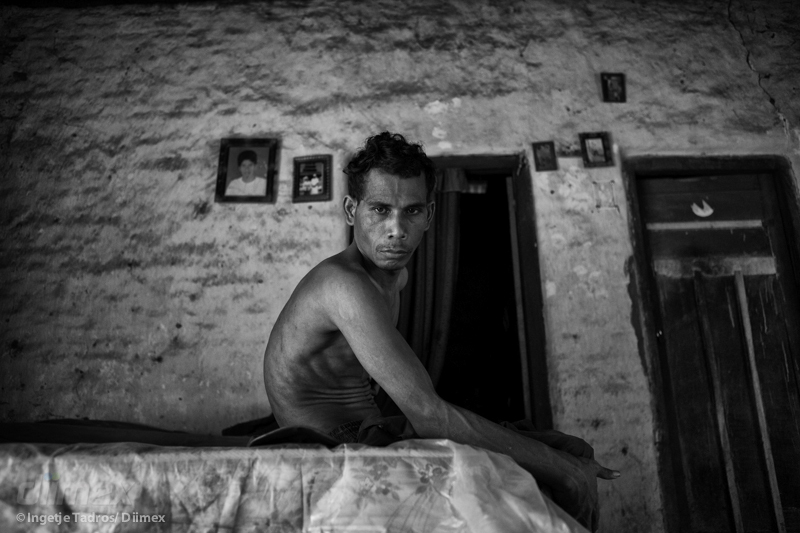 A confronting photo essay documenting the conditions of mental health patients in Bali. When I walked into that room, I did not see a room. 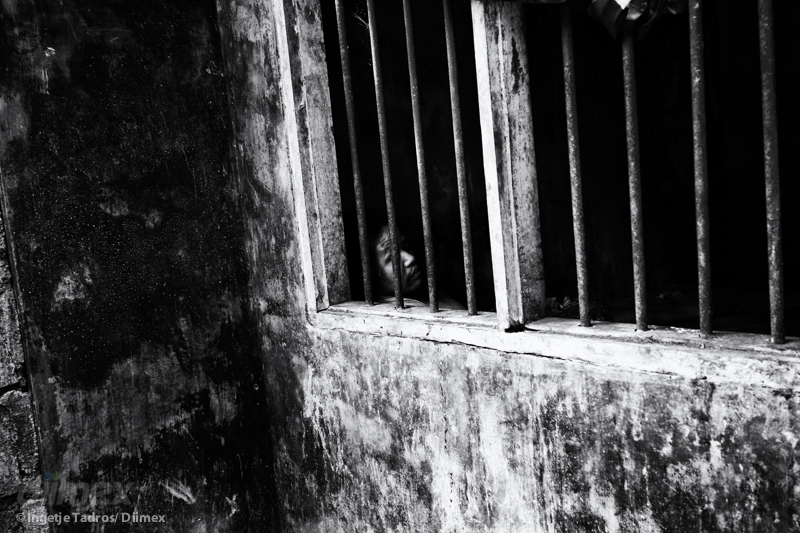 It was a cage, and in that cage was a human being that had been stripped of her wings, her voice, her humanity. The first feelings that came to me as I entered this room, this cage, this holding pen, was that in the corner was another human - but one who was caged in many ways, mentally and physically. I knew I had to capture this story because for me, my freedom is something I take for granted and I wanted to tell the story of how freedom for some of our fellow human beings is but a dream....but by talking about it and showing it we can move towards helping by bringing the human suffering of these victims of Pasung to the world, so that we can collectively do something to help. 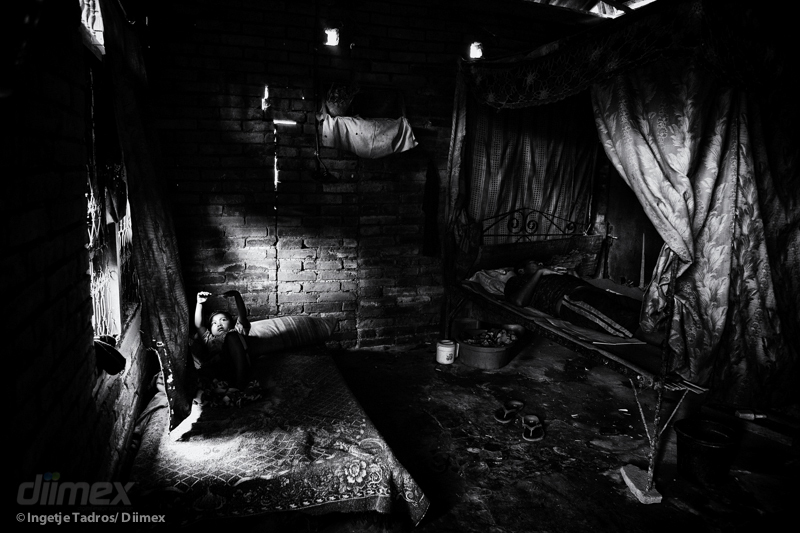 When I asked Kadek's father permission to enter the room where Kadek was being held for over twenty years, it felt like stepping into a hellhole. Another person may have called it a room, but for me it was a cage : there was no windows, the roof had large cracks in it, through which Kadek if she looked up could see the sky. 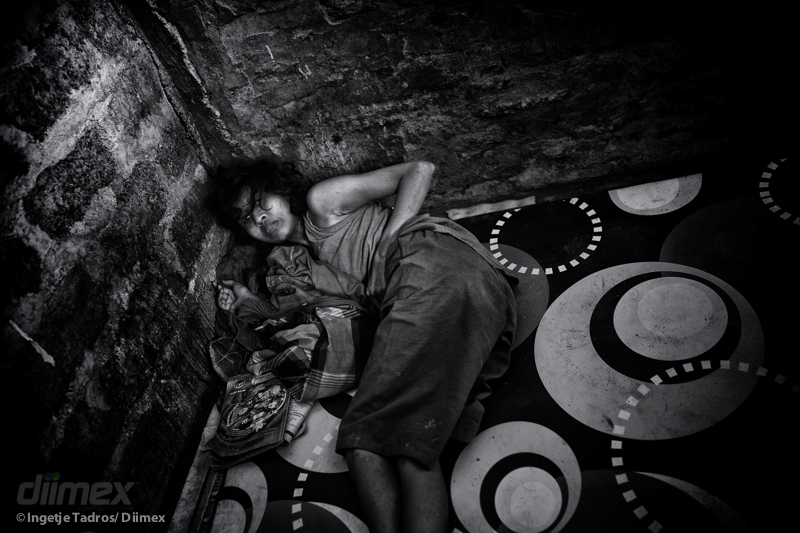 Kadek was sitting on the ground smeared with her own faeces and I quietly sat next to her in that mess. Kadek was watching me while I sat with her in her own cage. 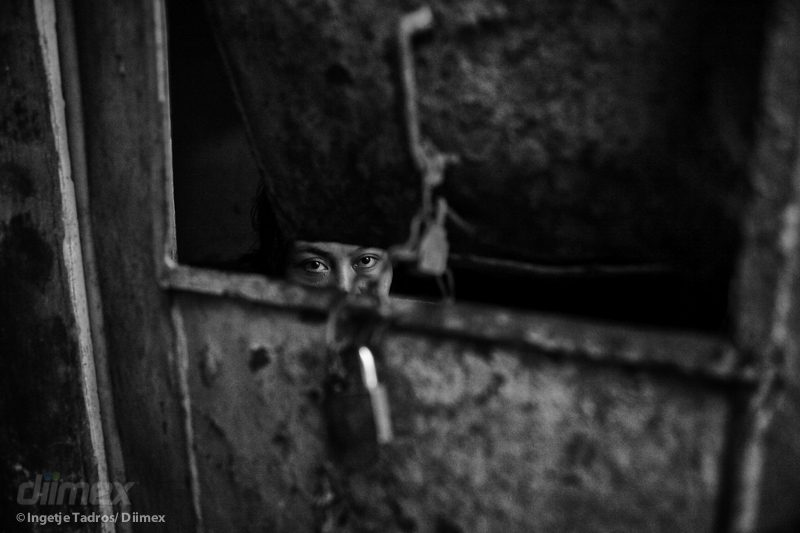 The silence was deafening and yet her story was so loud as told to me by her eyes. 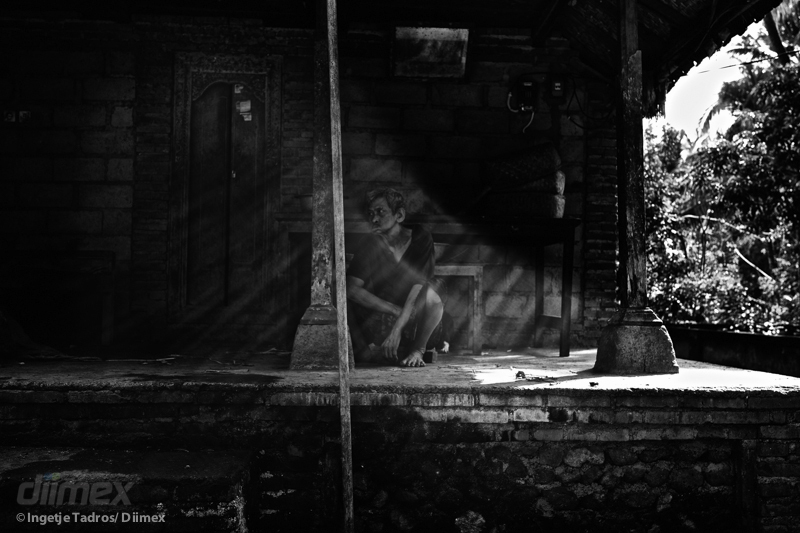 I believe this spilt second of a moment changed my whole perception as a photographer and human being, it hit me like a wall and I felt very clear that this story about Pasung needs to be told. To be a restrained person in one's own home is something I had never heard about in all my years of traveling the world. However this is what I found when I ventured to Bali this year. I was suddenly thrust into a world that few get to experience and it has left a impression on me that has shaken me to my core as a human being. To sit as a free human being with another human being whose freedom has been taken away is the most confronting and heart wrenching experience to be in. What I found cannot be described in words and must be seen to really understand the level of depravity and human rights abuse being forced on the lowest group of people in this country - the mentally afflicted. 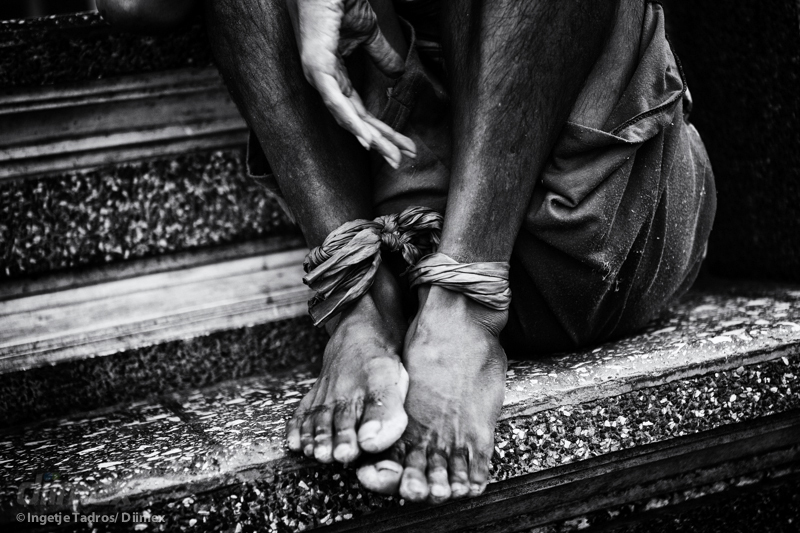 Pasung is the physical restraint by way of chains, ropes and cages of the Mentally Ill in Indonesia under the care of their families as there is a lack of Governmental support for the full care and rehabilitation of the victims and their family carers. 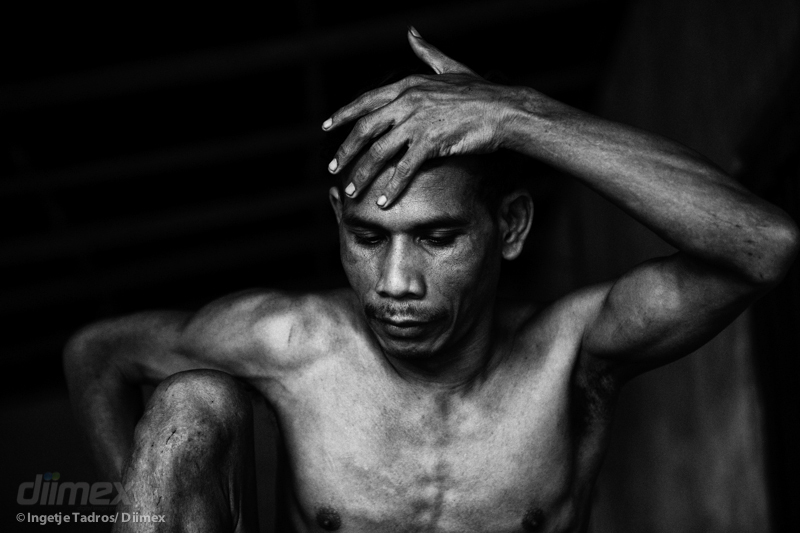 It is estimated that there are 18,800 people under Pasung today and more are being found. I must also explain that this is not a story about blame of the families who must endure the hardships of caring for their loved ones who are afflicted by a Mental Health condition. Through the lens I have tried to capture the individuals who are under Pasung through no fault of their own or their families, but due to a larger issue of no funding and resources to combat this growing situation that sees families having to deal with their loved ones in the most trying circumstances and not having the skills to help those with Mental Health but to do the best they can with what they have - which is nothing. It can also be said from my experience that even the carers are traumatized by the whole experience of having a loved one restrained in the process of Pasung. They can only restrain their loved ones in an effort to stop the self harm and harm of themselves - the carers. 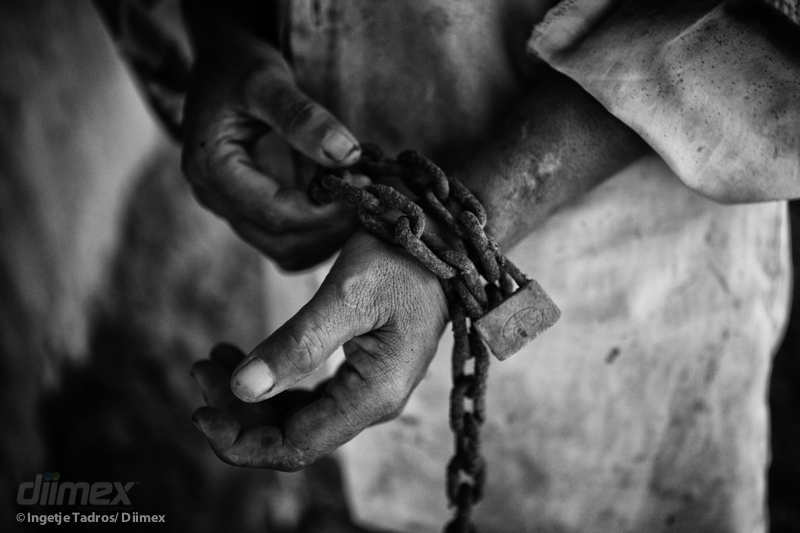 This is a photo documentary about the victims - both the ones in chains in their cages and the ones who look after them. 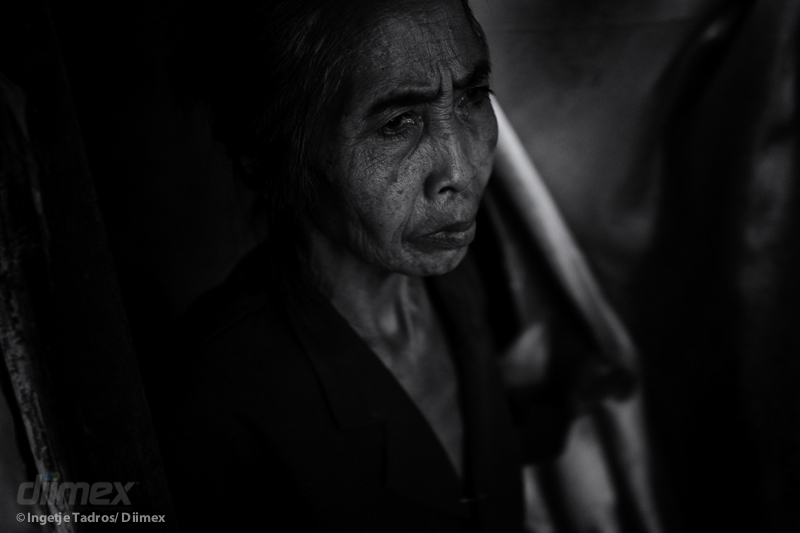 I have tried to also capture those that are out of Pasung in an effort to give hope. 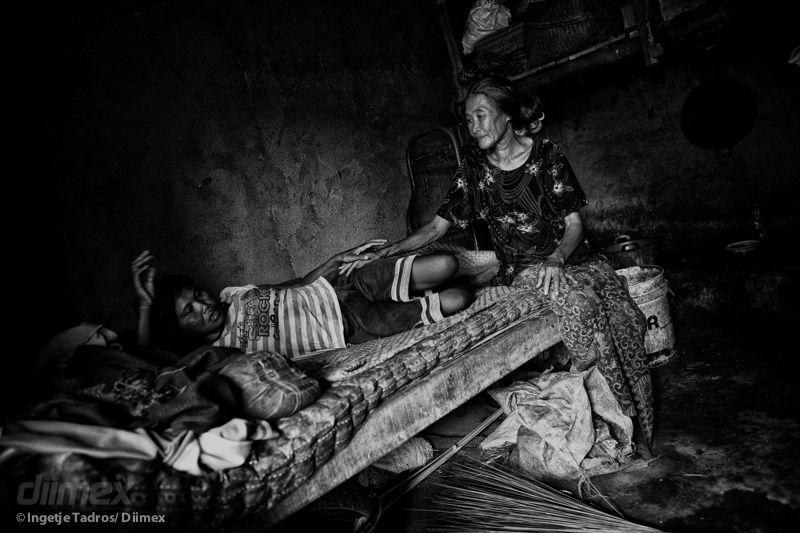 In the six days that I had access to the victims of Pasung in total I photographed twenty one individuals in their homes. I was able to see some hope for the victims through the caring work of Professor Luh Ketut Suryani, MD, PHD of the Suriyani Institute for Mental Health based in Bali. 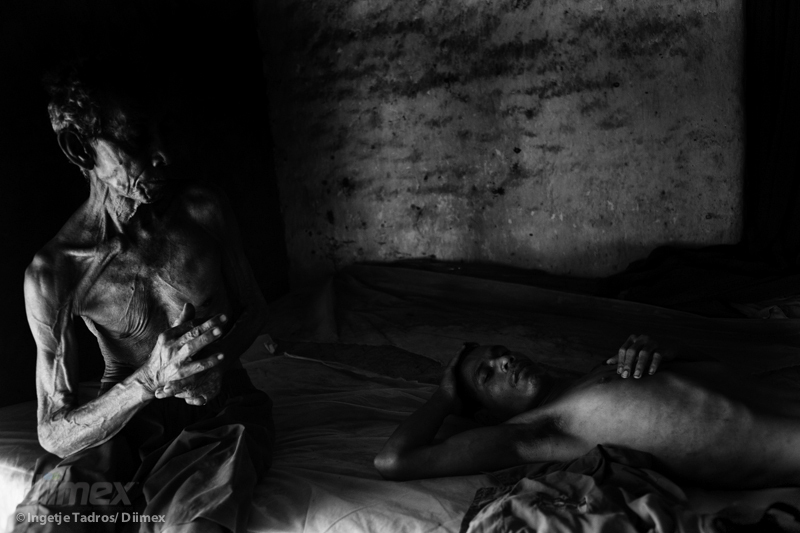 Slowly Professor Suryani is finding more victims of Pasung and offering some hope to the families that their family can be given freedom from their debilitating conditions through medical intervention and counseling. This is a very limited approach due to lack of funding. Bali, Indonesia, 2014. Found: 18 image(s) on 2 page(s). Displayed: image 13 to 18.